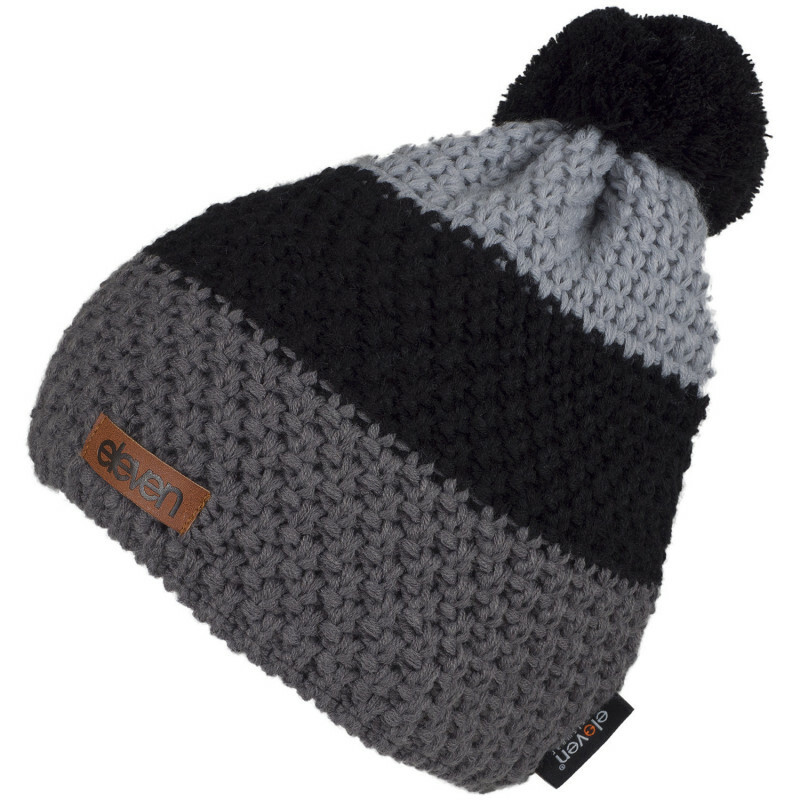 Attractive knitted beanie with design in three grey colour tones and a cute bubble on the top. To provide your ears with comfort and warmth, we have made an inner fleece zone. 100% acrylic composite, 100% polyester lining and polar fleece.